October 2, 1980: Muhammed Ali comes out of retirement to challenge Larry Holmes at Caesars Palace for the Heavyweight title. But the 38-year-old legend is no match for the younger champion, who wins by a TKO when Ali’s manager Angelo Dundee stops the fight after 10 rounds. October 3, 2003: Roy Horn is attacked by a 380-pound white tiger during his famed show with Siegfried Fischbacher at the Mirage Hotel. He recovers from massive injuries, but Siegfried & Roy, who combined magic, theatrics and exotic animals into a wildly successful act, never perform again. 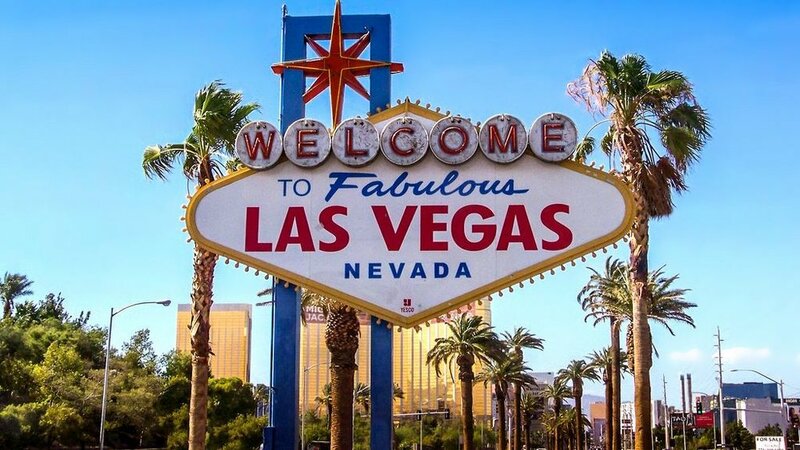 October 4, 1999: The famous “Welcome To Fabulous Las Vegas” sign goes dark because the company that had been paying the electric bill is sold and the buyer stops paying. After a month the error is discovered, the bill – less than $60 – is settled and the sign glows again. October 5, 1982: Local mobster Lefty Rosenthal summons reporters for a bizarre interview, one day after he survives a car bombing on Sahara Avenue thanks to a steel plate in the floor of his Cadillac. He vows to protect himself, but leaves town for good a year later. He’s the inspiration for the movie Casino. October 6, 1996: Tiger Woods defeats Davis Love III on the first playoff hole to win the Las Vegas Invitational. It’s the first PGA Tour win for 20-year-old Tiger, just six weeks after he turned pro and announced, “Hello, world.” He’ll make Vegas a frequent stop in the years to come, not just for golf. On October 6, 2017, the Vegas Golden Knights win their opener, 2-1, in Dallas with James Neal scoring both goals.